R&R Ready Mix built its reputation on providing quality concrete and great customer service. Our professional and knowledgeable staff are ready to supply the best materials and right services for all your projects. Our goal is to make your project run smoothly and without delay from beginning to end. 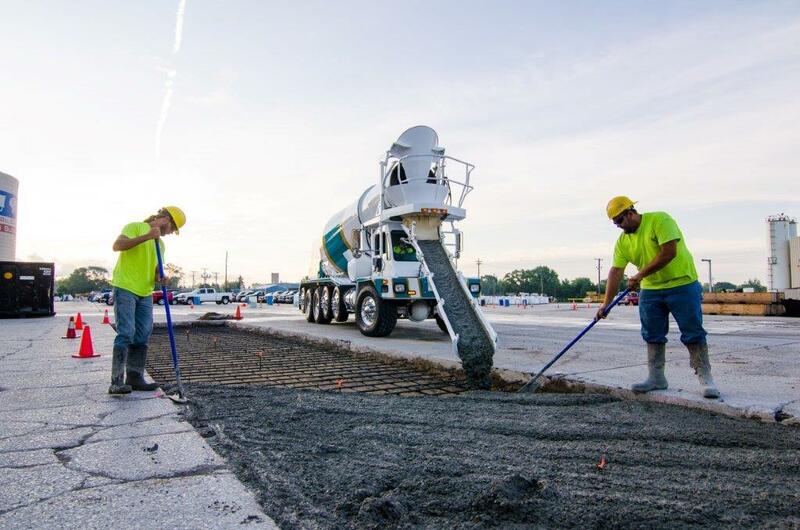 Each of our trucks is National Ready Mixed Concrete Association (NRMCA)-certified. We continually update and service our vehicles, so mechanical issues won’t stall your project. Our drivers are educated and courteous, so they can answer questions at the point of delivery. When you work with R&R Ready Mix, you have the assurance that if there is a problem at one plant or with one truck, we have a fleet of trucks and multiple plants that can step in to ensure timely delivery of your materials. In simplest terms, concrete is a mixture of coarse aggregate, fine aggregate, water, cementitious material, and air. Within that recipe, there exist hundreds of variations depending on your project. With all of the options available, you can rely on the expertise of our highly-qualified staff to ensure that you get the correct mix and that you understand the proper application method to achieve the best results. What Makes R&R Concrete Better? When you hire R&R Ready Mix, you get the services of our Quality Control Staff. Quality Control begins with testing the raw materials that come into our plant. The best quality materials make the best concrete. Later, we check for air content, slump, and temperature before the concrete leaves our plant. We stay abreast of commercial, residential, and MDOT requirements so we can keep our promise of delivering products that have the physical products you require.